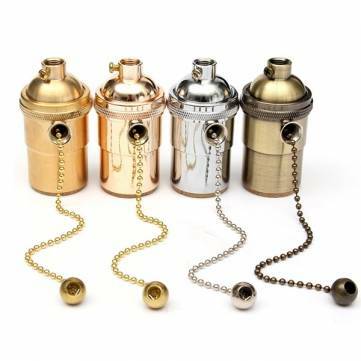 - Available in 4 finishes, they have a pull chain on/off switch and are super simple to work with: simply screw off the base to access the 2 wire connections inside. 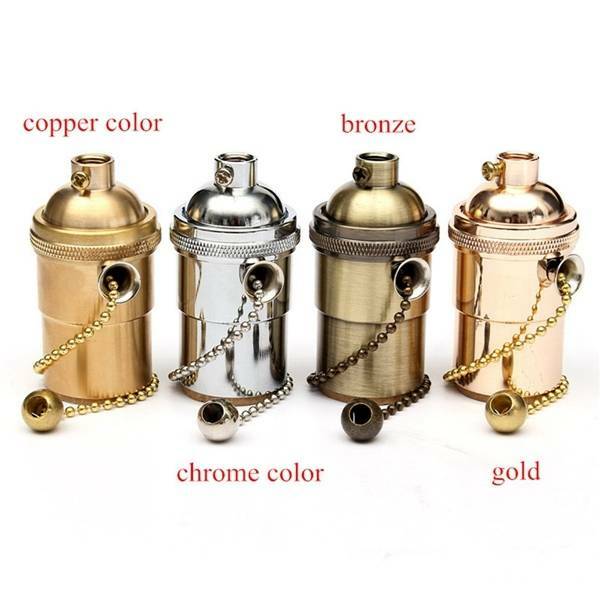 Perfect for restoring old lamps and lights or for all of your homemade lighting fixtures. - Installation note: These sockets, like most self wire-able metal sockets, come with a cardboard lining inside. This should be left in as it acts as an insulator. Do not remove it.